Gavin Moylan and Hugo Yslas' Van Gogh in the 2010 Pfizer Million. 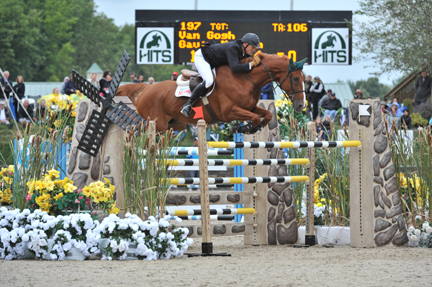 Moylan paved his way to the Pfizer Million last year thanks to several Grand Prix placings at HITS Culpeper. 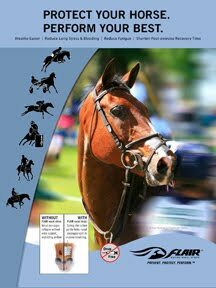 CULPEPER, VA (February 18, 2011)—HITS, Inc. is pleased to announce that the 2011 HITS Culpeper Show Series, that takes place in the heart of Virginia horse country, will host a total of six $40,000 Grand Prix, five of which will qualify for this year’s Pfizer $1 Million Grand Prix. In addition, HITS Culpeper will also host five $5,000 Devoucoux Hunter Prix, all of which will qualify for the all-new Diamond Mills $500,000 Hunter Prix Final. The HITS Culpeper Show Series will get underway when the Commonwealth National rolls into town for one exciting week of post-winter show jumping, April 20–24. On July 6, show jumping returns to HITS Commonwealth Park in Culpeper, Virginia with two consecutive weeks of competition with the Showday National, July 6–10, followed by the Cavalier Classic, July 13–17. August brings two more weeks of competition with the Winston National, August 17–21, and then the Constitution Classic, August 24–28, while the series finishes up in late September with the Culpeper Finals, September 28 – October 2. As always, the HITS Culpeper Show Series will feature a varied schedule offering a full complement of divisions and classes for all levels of equestrians, from Short Stirrup to High-Performance. The M&S Pony Jumper Classic, Adequan Hunter, HITS 2’6” Hunter, $500 Bit O’Straw Hunter Classic, $15,000 Brook Ledge Open Jumper and the $5,000 Low and $10,000 High Junior/Amateur-Owner Jumper Classics, all Culpeper favorites, return to the schedule each week, along with the $500 M&S/WIHS/NAL Children’s and Adult Hunter Classics and the $2,000 M&S/NAL Children’s and Adult Jumper Classics. The schedule also features all of the new USEF A-rated hunter divisions, including the High Performance Working Hunter, Performance Working Hunter 3’6”- 3’9” and Performance Working Hunter 3’3”. The schedule will also feature the popular Amateur-Owner Hunter Division with fences set at 3’3”. In the non-rated Hunter Section, HITS Culpeper has added the 2’3” Culpeper Children’s and Culpeper Adult Hunter Divisions. The first five weeks of the Culpeper Circuit, from April through August, will host qualifying events for this year's Pfizer Million and the $500,000 Diamond Mills Hunter Prix Final. The $5,000 Devoucoux Hunter Prix, the qualifying class for the Diamond Mills Hunter Prix Final, will be held each Saturday, and the $40,000 HITS Grand Prix, presented by Pfizer Animal Health, will take top booking on Sundays. HITS Culpeper is one of the stops on the road to the richest classes in the U.S., as riders from around the country set their sights on qualifying for this year’s Pfizer Million, and the all-new Diamond Mills $500,000 Hunter Prix Final, both will be held at HITS-on-the-Hudson in Saugerties, New York, the weekend of September 10-11. The USHJA Tad Coffin Zone III Junior Equitation Finals return to HITS Commonwealth Park for the fifth consecutive year on Saturday, August 20, during the Winston National. The Tad Coffin Finals is open to junior riders in Zone III who have won any USEF, ASPCA or WIHS Medal, or any Zone III State Medal between August 16, 2010 and August 14, 2011. The class is held as one class, but with two height sections (3’ and 3’6”) and takes the stage in the Grand Prix Ring. For more information on the USHJA Tad Coffin Zone III Junior Equitation Finals, please see the Culpeper prize list. For the Culpeper Finals in late September, HITS mixes it up with several additional featured classes, including the ever-popular $10,000 Pre-Green Hunter Classic, the $15,000 Junior/Amateur-Owner Jumper Low Classic and the $25,000 Junior/Amateur-Owner Jumper High Classic. In addition, this week also offers a $40,000 Grand Prix. The annual SmartPak Overall Circuit Awards will also be presented during the Culpeper Finals to celebrate the top athletes from all six weeks of the season. In addition to offering an exciting and diverse schedule with some of the best prize money around, HITS Culpeper will also offer exhibitors an enhanced showing experience in the Grand Prix ring with new state-of-the-art, all-weather footing. 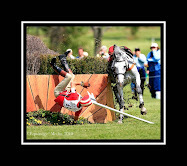 Similar to what was installed in Jumper 1 and the Main Hunter ring last year and what HITS is using at its HITS-on-the-Hudson facility in Saugerties, New York, the Grand Prix field at Commonwealth Park will undergo a footing makeover before the start of the April shows. Other property improvements include continued landscaping and updates to the back-end of the facility for improved comfort. The 2011 HITS Culpeper Prize List has been mailed and the on-line version can be found on the Culpeper page of the HITS Website. To request a prize list, please visit HitsShows.com or click here. The all-new Diamond Mills $500,000 3'3" Hunter Prix Final is another innovative offering from HITS that has equestrians from around the country eager to earn their spot in this historic event, which takes place the same weekend as the Pfizer Million in Saugerties, New York. In order to become eligible for the Diamond Mills $500,000 3'3" Hunter Prix Final a rider on any horse/horses will need to compete in five or more Devoucoux Hunter Prix at any combination of HITS Shows during the qualifying period. Once a rider has competed in five Devoucoux Prix, they will become eligible and their points on their leading horse will place them in HITS Hunter Prix Final Rider Rankings. For more information on the Diamond Mills $500,000 Hunter Prix Final, including complete qualifying specifications, please click here.